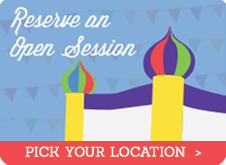 JUMP ON IN SIGNS FRANCHISEE FOR 7TH LOCATION! Lowell, MA – June 22, 2010. JOI Franchising, LLC, a Lowell, MA-based company in the child entertainment industry, has announced that it has signed a franchise agreement to open a new location in the Edison, NJ market. When opened, this location will mark the seventh Jump On In location to open since the original Lowell, MA facility opened in January 2005. The new facility, which is expected to open in 2010, will include over 11,000 square feet of slides, obstacle courses, trampoline basketball, table games and bouncers. Jump On In specializes in party facilities offering private, athletic jumping parties to children in a safe, clean environment. Separately, Jump On In also announced that its summer “Jump & Learn” program will begin on June 23rd. Jump & Learn is a fun program that includes jumping combined with a learning session including hands-on activities such as arts and crafts. The Jump & Learn program was launched in 2009 as an alternative activity to allow children not having a birthday party to enjoy Jump On In. “We’re expecting this program to grow in popularity as we continue to introduce it into our locations,” said Lynch. “It provides an opportunity for parents to give their child a fun, active and enriching activity during summer vacations and other non-school periods.” The program is expected to consist of sessions with three hours of activity planned for each day. Jump On In franchise was created as fun, safe, clean place for children to engage in active playtime in a private environment. 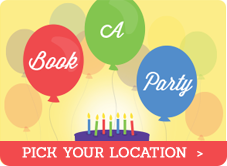 Party types include birthdays, team events, school activities, etc. and are available to everyone from toddlers to adults. Trained staff provides guests with supervision, food and beverage set-up, and clean-up services. Jump On In offers child entertainment franchises in several options, including single unit child play franchises, multi-unit franchises and master or regional franchises. Locations range in size from 6,000 to 11,000 square feet of space, typically using buildings in light industrial areas with ceilings at least 18 to 20 feet high. Jump On In Franchise is actively pursuing new locations for the children’s franchised concept throughout the United States. 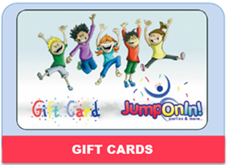 For more information, visit the company’s websites at www.jumponinfun.com or www.jumponinfranchise.com.